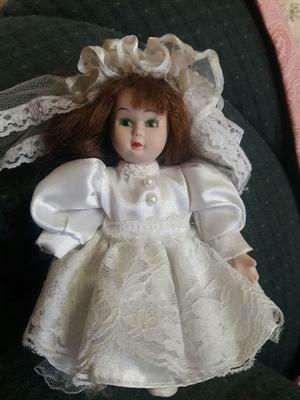 This doll was given to me by my mother on my recent trip back home to upstate NY. The dress seems to be sewn to the little bloomers and does not come off. The legs have a rope for the thighs attached to the knee and down. I don't know if it was part of a set or not. Any help would be appreciated!